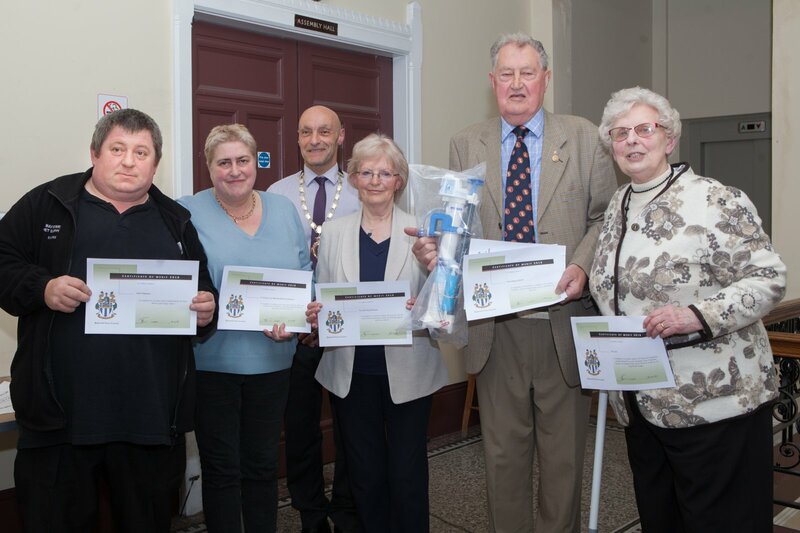 Bakewell Town Council's 2018 Certificate of Merit Awards were presented at the Annual Town Meeting held on Wednesday 18th April 2018. Recipients with Mayor Steve Edwards are (left to right) Mark Wakeman, Dr Pauline Love, Marian Barker, David Rawson BEM, and Pat Lunn. The awards, now in their third year, are to for the recognition of "valued contributions by individuals within the community who have gone the extra mile"